Although I have visited C.Baxter Kruger’s blog before, this was the first time that I have read one of his books. 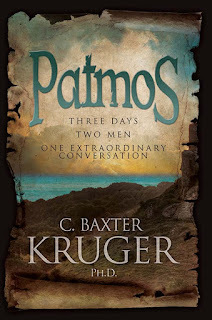 The book description for Patmos really grabbed my attention and was enough for me to break my sabbatical from blogging to pick it up and to do a review of it; the novel is about a guy named Aiden (from modern North America) who somehow lands up in a cave on Patmos with the apostle John for company. What follows are three days of conversations and experiences that will forever change his theological views and his relationship with God. There are several conversational topics that are brought up along the way, from John’s explanations of his own gospel and the book of Revelation to what he insists are poorly translated texts in Aiden’s modern English Bible. Many of the conversations that we are invited to share in are amazingly beautiful simply because of the centrality and emphasis of Christ in all of them. My personal favorite chapter deals with the nature of the Trinity which was highly insightful but then again what else would you expect from someone who runs a website called http://perichoresis.org/? The main emphasis in Patmos though is the idea of separation verses union. Did God in Christ reconcile the world to Himself or is mankind still separated from God but now able to find our way back home? That statement can be interpreted and misinterpreted in numerous ways and it probably will be by many readers. Many will no doubt read universalism into it which the book sometimes did seem to imply even though it never directly speaks of it. One cannot help but draw comparisons with The Shack when reading Patmos. The concept is similar in that you have this story taking place in a remote place where a guy has this supernatural encounter resulting in a lengthy dialogue that turns the persons world upside down. The story is also used as a means to share certain truths about God (and destroy some false ones) which, on a personal note, I believe to be a powerful and underused method for teaching. I think that it is so easy to take a ‘left brained’ approach to God and systematically put all of our ideas into these neat little boxes that we can make sense of. But fictional works like Patmos and The Shack are probably closer to Jesus’ own style of teaching people about God and about kingdom living. Many of the red letters in the New Testament are found within the parables told by Christ Himself so there is definitely something special about conveying theological truths through the means of stories. One of the small criticisms that I have is that even readers with a bit of a Charismatic background like myself might find it hard to keep up with the amount of dreams, visions and mystical experiences that are crammed into the three days which cover John and Aiden's time together. I found myself making a conscious decision to not think about it too much and chalk it off to a tool for the author to keep the story flowing and moving in the direction that he wanted it to go in. But let me emphasize that even if you disagree with the author on some of his ideas, Patmos contains so many wonderful ideas and truths that have for the most part been forgotten by the Western church at large, that one would be hard pressed to read it and not be touched by something of the beauty of Christ in it. 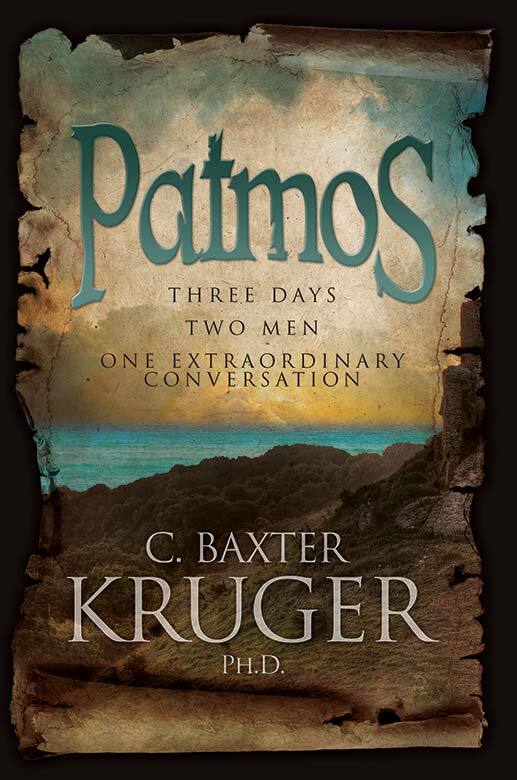 I really did enjoy Patmos; it is more than just a novel in that it will have you chewing on the theology behind it just as much as the story within it. I love how it portrays the gospel as the news that Jesus is not just some accessory that we add on to our lives but rather it is the good news that He has received us into His own life. Our oneness with Christ and the oneness enjoyed between the Father, Son and Holy Spirit as seeing in John 14 and 15 is perhaps my favorite portions of scripture and Baxter’s book expounds on this theme in such a way that you cannot help but excited about it. I highly recommend giving it a read. You can learn more about the book or buy it by clicking over here and you can connect with the author on Twitter by clicking here. I received this book free from the author and/or publisher through the Speakeasy blogging book review network. I was not required to write a positive review. The opinions I have expressed are my own. I am disclosing this in accordance with the Federal Trade Commission’s 16 CFR,Part 255. Why Jesus is NOT the name above all names. This is a place for me to share Jesus and sometimes just think out loud. I love the church even though it has come to look radically different in the past few years for me. I hope to invite others into that same place that we may continue growing in Him and as a body.